When used appropriately, fat burners can be an effective dietary supplement. Today’s fat burning health supplements include ingredients such as guarana, theobromine, yerba mate, kola nut, and tyrosine. These ingredients are meant to burn fat and promote weight loss among consumers. While working to fill any gaps in dietary nutrition, a fat burner supplement will promote a consumer’s overall well-being while making up for any deficiency. There are different types of fat burners, including thermogenic fat burners, carb blockers, and appetite suppressants. The most widely used fat burner is thermogenic. Consumers that use fat burning supplements may experiences a quickened heart rate, increased concentration, alertness, and an increase in energy, in addition to losing weight. Carb blockers are a type of fat burner that inhibit the enzymes that work in the body to digest carbohydrates found in food, allowing the carbs to pass right through the consumer’s system, without adding to the consumer’s daily calorie intake. Appetite suppressants work to decrease the consumer’s appetite, which will contribute to fat loss. The health and wellness industry has been booming in recent years, and the use of weight-loss and fat burning supplements has been in growth mode. Obesity and being overweight can contribute to a series of health complications, including heart disease, diabetes, and certain types of cancers, as well as other health issues. Consumers look to fat burners and weight management supplements to slim down and promote overall wellbeing. Americans spend about $2 billion a year on weight loss dietary supplements, with more than 50% of adults taking a dietary supplement. Additionally, losing weight is one of the top 20 reasons why people take dietary supplements. BioThrive Sciences is the leading manufacturer of dietary supplements in the United States. Our state-of-the-art manufacturing facility prides itself on upholding the highest standards in safety, ensuring that our custom formulas are never cross contaminated. 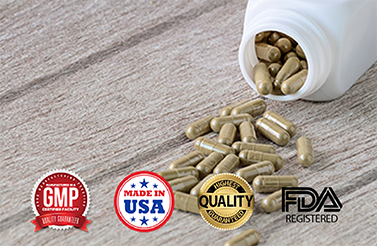 Providing convenient, fast, and time-saving services, BioThrive Sciences provides all natural, GMP certified and FDA approved dietary supplements, including high-quality fat burners. Contact BioThrive Sciences for fat burning supplement manufacturing and formulation. We guarantee quick turnaround and customizable formations that meet your exact needs for your audience. For more information, send a message online or call: +1 (844) 263-3657.